Last night (29.03.17) , The winners of the 2017 annual National Film Awards were announced. The prestigious event produced by the National Film Academy took place at the Porchester Hall in London and included a plethora of stars who attended the annual awards ceremony to celebrate the best films and talent both infront and behind the cameras. Simon Pegg, beat off stiff competition from Joan Collins , Kelsey Grammer , Hugh Grant , Julie Andrews , Pierce Brosnan, John Cleese, Jude Law and James Nesbit to win the award for Global Contribution to Motion Picture. Best Comedy, was won by David Brent ‘Life on the Road’ with the full cast and crew on hand to collect their award. 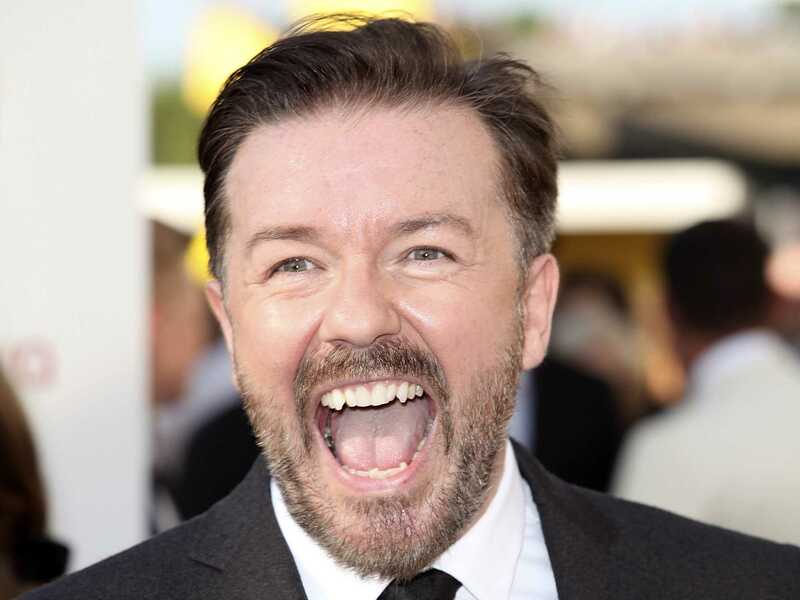 Ricky Gervais who stars and directs the movie had previously commented “It is important to be nominated for the National Film Awards and it feels good to win because it shows that all the hardwork you put into your craft is worth it”. The heavily contested, Best British Film, was won by the popular A Street Cat name Bob a British family drama film directed by Roger Spottiswoode and written by Tim John and Maria Nation. It is based on the book of same name by James Bowen. The film stars Luke Treadaway, Ruta Gedmintas, Joanne Froggatt, Anthony Head and Bob the Cat as himself. The night belonged to legends of Drama and two of Britain’s most respected actors , Sir David Jason and Nicholas Lyndhurst who received the National Film Academy’s prestigious Lifetime Achievement Award for their services to Drama. Both actors delivered inspirational acceptance speeches with a main focus on the importance of creativity in Drama. Highlights of the awards ceremony will be broadcast on VooVix (official broadcast sponsor) and Showcase on Sky on 25th of April. Sponsors for this year’s 3rd annual National Film Awards included; Malta (Official Travel Destination) , Zuricom, VooVix (Official Broadcast Partner), Sky Showcase, White Glow UK, Heineken, Blind Pig Cider, Snaptcha, Jus Cos Catering (Official Catering partner), tastecard, Meem, InstantPrint, Fiji Water and Thai Square Restaurant .